Minister of Construction and Municipalities: We support eh complementary situation between the al-Abbas's (p) Holy Shrine and other governmental institutions. Minister of Construction Housing and Municipalities, Mr. Benkin Rikani said that his ministry will support the complementary situation between the al-Abbas's (p) holy shrine through the projects that it implements with the other government institutions to contribute to filling the shortage in the various fields of service provided to the citizen. 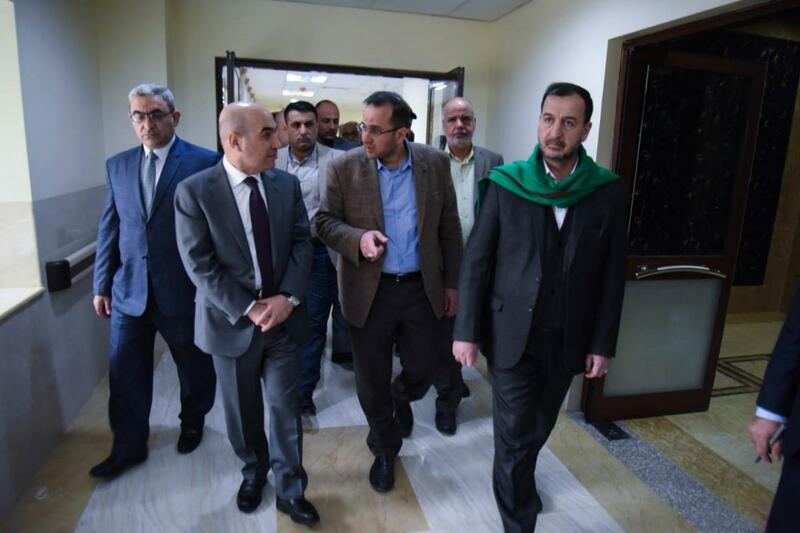 This came during his visit to the al-Abbas's (p) holy shrine, in which he performed the Ziyarat of the shrine of Aba al-Fadl al-Abbas (peace be upon him) and then conducted a tour in a number of its projects, accompanied by its Secretary-General Eng. Mohamad al-Ashigar to who debriefed him about the most prominent services provided in these projects, after which the Minister stated: "The al-Abbas's (p) holy shrine is making a great effort in building facilities and service projects, and its role in providing services to the citizens of Karbala and its visitors, has become clear and excellent." 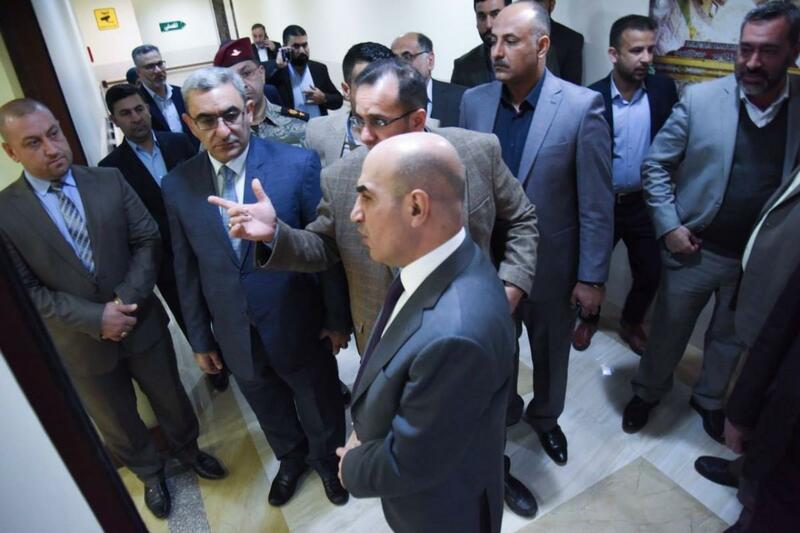 Al-Kafeel Super Specialty Hospital was one of the projects visited by the Minister who considered it a quality addition that supports the governmental institutions. Indicating: "We, in the ministry, cooperate with any institution that provides additional services to the citizens and support it with the means available to us, especially the al-Abbas's (p) holy shrine."